Uses Trust the haircare experts at Ogilvie for a complete conditioning formula that safeguards your hair from dryness and frizzies while ensuring lasting shine and curls - even for color-treated or delicate hair. The B4 Pre-Perm Conditioner gently prepares your hair for a natural-looking perm. 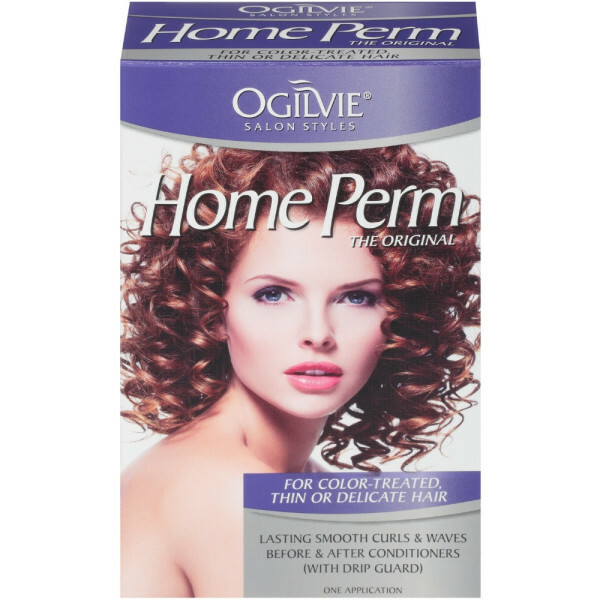 Restorative after-perm conditioners balance your hair for silkier hair and manageable curls that last. Contains the following salon products: B4 Pre-Perm Conditioner, Curling Lotion with Fresh Scent, Instant Creme Neutralizer, large salon end-papers, Leave-In Conditioner, now with drip guard, step-by-step instructions. Ogilivie Home Perm is appropriate for all hair types. However, it is not recommended for hair that is highlighted, frosted, bleached or previously straightened with relaxers containing lye or guanidine carbonate.